HURFOM: Residents of Ni Ton and Kwan Ngai, two riverside villages along the Attran river in Kyaikmayaw Township, Mon State, are fearful of remaining in their homes, as the powerful bow waves generated by vessels transporting coal and cement to and from the nearby Mawlamyine Cement Limited (MCL) power plant and factory are eroding the banks of the river and damaging the foundations of houses along this stretch of the Attran. According to residents, the scale of damage resulting from the daily transportation of goods has increased every year since MCL’s operations began. 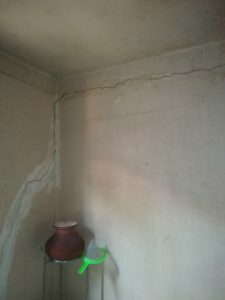 “Cracks [in the foundation] have increased year after year. This year we’ve seen the greatest number of cracks. Since this factory has been in operation, we’ve been suffering. The factory has operated for just three years, and we’re [villagers] already afraid to live in our houses…We have to move. High-ranking government officials must take responsibility for this problem. We’ve voiced our concerns many times, but nothing has changed. If your house has been damaged, you have to repair it yourself. 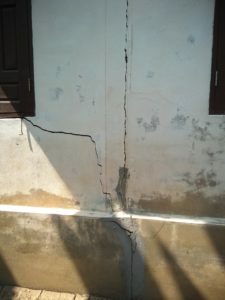 We have to repair our house every year,” said Daw San Maw, a resident of Kwan Ngai village. 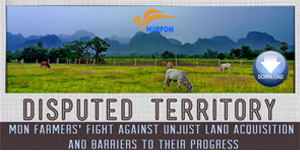 A group of 15 villagers from both Ni Ton and Kwan Ngai shared similar stories, stating that the scale of damage to their homes has increased with each passing year, and added that the daily passage of vessels has led to environmental degradation. The environmental impact of MCL’s operations has been wide ranging. Soil erosion, a marked decline in fish stocks along the Attran, and difficulties accessing clean water, fruits for traditional medicinal purposes, and natural construction materials have all been reported. “The river can’t bear the momentum of the vessels. The riverbank collapsed and riverside houses have been damaged. It’s not easy for us to move and build a new house. 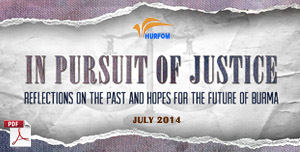 In the past, we organized many activities to oppose the project, but nothing has changed. 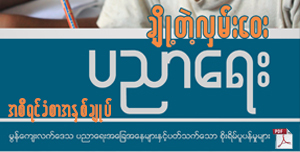 We’ve given up,” said villager Nai Ohm Pan Lay. 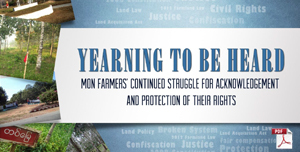 Although some residents may express defeat, opposition to MCL’s presence in the region has been sustained since at least 2015, when residents first learned that the factory would be coal-powered. In February 2017, more than 2,000 villagers from the Pyar Taung region of Kyaikmayaw Township demonstrated against MCL, calling for an end to the use of coal. When speaking about the broader environmental impacts of the heavy river traffic, U Khin Maung, a fisherman from Kwan Ngai village, stated that the number of fish and prawns in the Attran had significantly decreased since MCL began operations. “When the factory first opened, we still caught 30 peittha (48.9 kg) of fish and prawns per day, but now we have to fish all day to catch only 3 peittha (4.89 kg). There are practically no fish or prawns left. 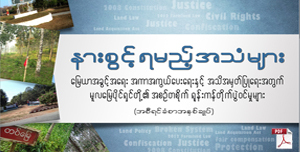 The future will be very difficult for us,” said U Khin Maung. To make matters worse, fisherfolk report that the vessels hired by MCL routinely destroy their fishing nets, compounding the livelihood challenges posed by MCL’s operations. However, it is not just livelihoods that are under threat, for in September 2018 a fisherwoman died after being struck by a vessel transporting coal to MCL’s power plant. At the request of residents, a warning sign instructing vessel operators to reduce their speed was installed atop a bridge in Kwan Ngai village, though villagers report that MCL’s vessels continue to travel at worrying speeds. Villagers have also approached MCL, asking them to ensure their vessels remain at least one mile apart from one another when in transit. “At the very least, if the vessels reduce their speed the negative impacts will decline, and our suffering will ease,” said Nai War, a local resident. 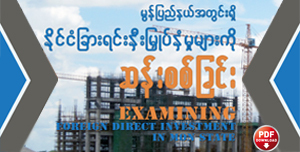 Mawlamyine Cement Limited is a joint-venture between Siam Cement Group (SCG) and Pacific Link Cement Industries (PLCI). The company has repeatedly come under fire from locals, the monastic community, and members of parliament for the negative impact its operations continue to have on local livelihoods and the environment. 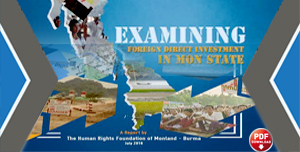 For more information on MCL and the impact of foreign direct investment in Mon State, please refer to HURFOM’s 2016 report Examining Foreign Direct Investment in Mon State, Burma.